Another resource available on FamilySeach is the International Genealogical Index (IGI). This index contains indexes to microfilm which contain vital records and to patron submitted information. It is recommended that all information located on the IGI be verified. One reason is that vital records may contain more information than was extracted or may have been read incorrectly. Another is that patron submitted information may provide a source or other information. I found a few leads, but they may not be verifiable with online records (since we won’t be spending money on these cold case files which we have adopted). George Parsons Scholefield & Clara Ann Moore — A patron submission identifies their marriage date as 2 Jun 1882 in Silver Bell, Pinal, Arizona. The same record reports George’s death as the 30th instead of the 31st of Aug 1942. Mary Virginia Scholefield — A confusing record for her marriage appears. It states Virginia Scholefield married Arthur C. McMillan on 21 Jun 1892 in Manhattan, New York. However, the source is impossible to truly determine. The batch is M006668, has no linked source information, except the notes that it was a film and that it was extracted for the locality listed. So — this seems to be a glorified family group sheet entry. I say that because I really have no way to tell where this record came from, and all I can use it for is a guide. Mae Stuart Scholefield — Another record reports that Mae married Guy Joseph Edwords on 27 Dec 1898 in Manhattan, New York. This source comes back to batch file M005937 which again has no specific source information. Archibald Robert Shaw — A record for batch C00118-8 for an unknown film records that he was born 16 Aug 1889 in Manhattan, New York. This record doesn’t even report that the records were location specific. Carl Burnett Scholefield — A patron submission reports his marriage date as 11 Aug 1911. A second submission gives his place of birth as Globe, Gila, Arizona (one of the two possible places which are alternatly reported for his birth), and clarifies his death place as San Jose, Santa Clara, California. Helen M. Scholefield — A patron reports her middle name was Mae (she may have been named after her aunt). Charles M. Scholefield — A patron reported that his parents were Arnold Scholefield and Abegail Burnham, that he married Helen DeGraff on 24 Aug 1859 when he lived in Utica, Oneida, New York, and has a death date of Nov 1870 which conflicts with the date I have of 1869. Helen Marr Degraff — A patron reported that she was of Amsterdam, Montgomery, New York, and that her parents were named Harmonus Degraff and Susannah Thomas. James Armour Moore — An index record for The New York Genealogical and Biographical Record reports his baptism on 1 May 1825 at Christs Church, Rye, Westchester, New York, and his parents as Michael Moore and Susan. However, there is also a patron submitted record for a James Armour Moore who was born 19 Apr 1825 (I have 4 Apr) in New York who died in 1882. It is possible that there are two men who share the same name. Matilda Jane Burnett Moore — A patron reports that she was born in Charleston, Charleston, South Carolina. Blissie Helen Scholefield Lee — She apparently joined the LDS Church and therefore her record can be considered reliable. Her birth date matches the one I have, and her birthplace is specified as Oakland. She married a Harold Sniffen Lee on 28 Sep 1935 in Yuma County, Arizona, and died on 17 Sep 1995. 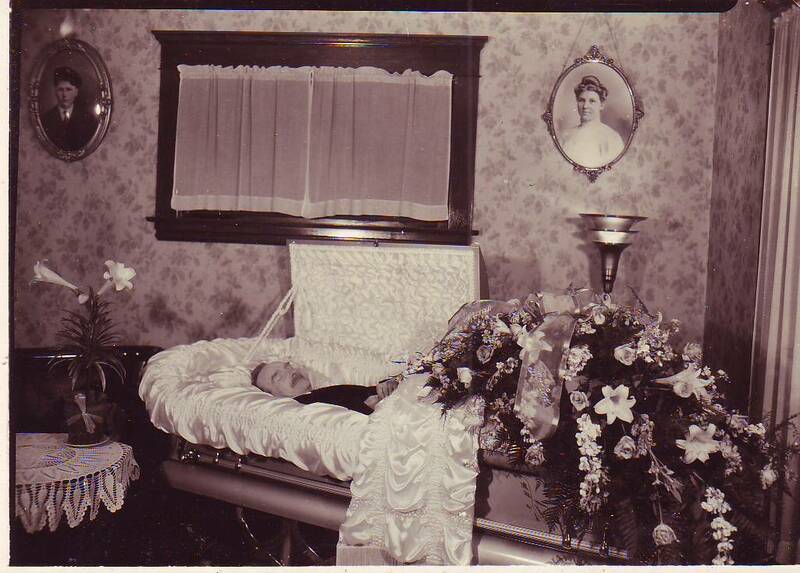 A patron submission clarifies that she died in Globe, Gila, Arizona. It is possible that since Blissie was LDS, she was the one who submitted some of the above information. However, since some data doesn’t match with what I have, other bits may also be incorrect. Specific citations available upon request.